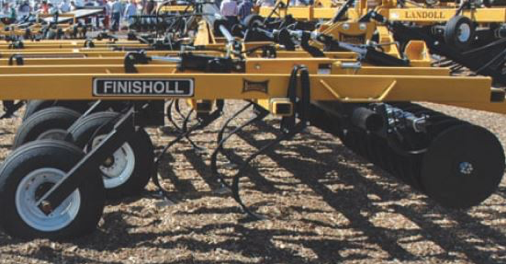 Selecting the right primary tillage implement for the systems you’re trying to establish can be a challenge. It pretty much comes down to how much horsepower you have at your disposal, how many acres you are managing, and how much residue you want to leave on the surface of the field. 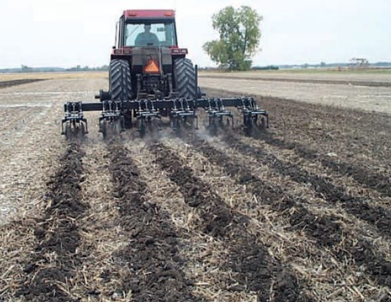 In order to build up and hopefully maintain a viable, living soil with good nutrients, it’s important to maintain surface residue through minimizing tillage. There are situations, however, when the field needs to be completely inverted, so as to blend and mix the entire plow layer together. In these cases, you’ll want a moldboard plow. The moldboard plow completely inverts the soil. 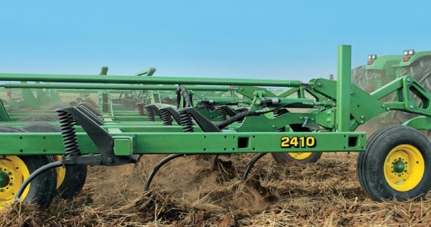 Useful at the beginning of a rotation when a sod is being plowed down, or if the need for a fine seedbed without a lot of residue is required. They are slower, and require more horsepower than minimum tillage chisel plows, and consume more fuel. In terms of horsepower needed, use about 1hp per inch of width. In this photo you have an 8 bottom plow with 16” plows. That multiplies to 128 horsepower. In hotter regions and those with soils that degrade quickly, we are trying to encourage farmers to retain as much residue on the surface as possible without harming the crop. It keeps the soil cooler, and slows the breakdown and loss of nutrients from the organic matter in the trash and residue. It also keeps the surface soil moist so as to not dry out. Finally, it will prevent wind and water erosion. With that in mind, use the moldboard plow sparingly in the rotation if possible, and only if necessary. Let’s look at some of the systems and resulting implements that might be used. 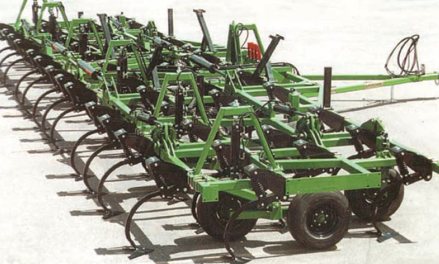 The chisel plow is the foundation of any minimum tillage system. It ‘fracks’ the soil between shanks of various difference widths depending on how much trash you want to retain on the surface. They operate faster than a moldboard plow, and consume less power and fuel per effective width of operation. Chisel plows come in various configurations, designed around how much trash and residue you want remaining on the surface. The ‘Finisholl’ pictured above is an example of a set of straight disks to break up and level out the trash layer, then the shanks in the middle gang penetrate and frack the soil, and often times will be followed by a row of disks to level further. The lower left image shows a chisel with sweeps which frack the soil under the surface without disturbing the surface residue. To the left is a no-till planter planting into a mulch till medium left by a chisel implement similar to those above. 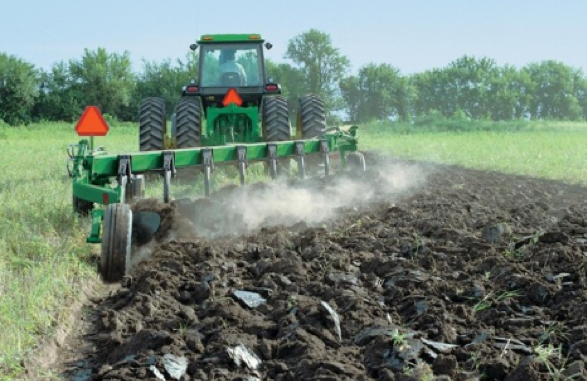 As much as 50% of the surface residue remains in the seedbed, holding the soil, retaining moisture, and cooling the soil in hot climate situations.